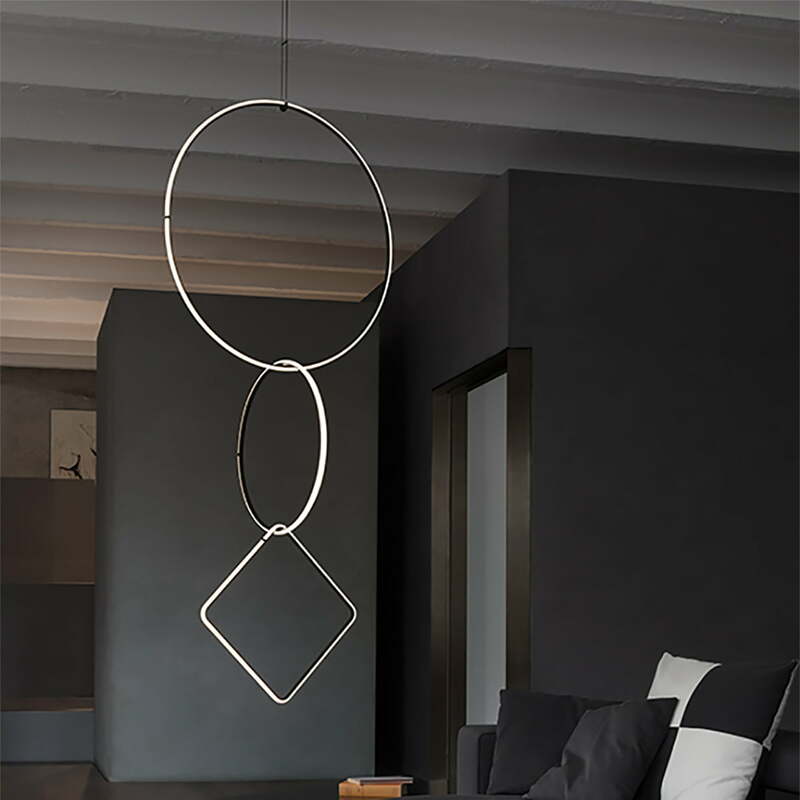 The Flos LED pendant luminaire arrangements are characterised by their geometric, almost sculptural luminaires that bear the signature of designer Michael Anastassiades. 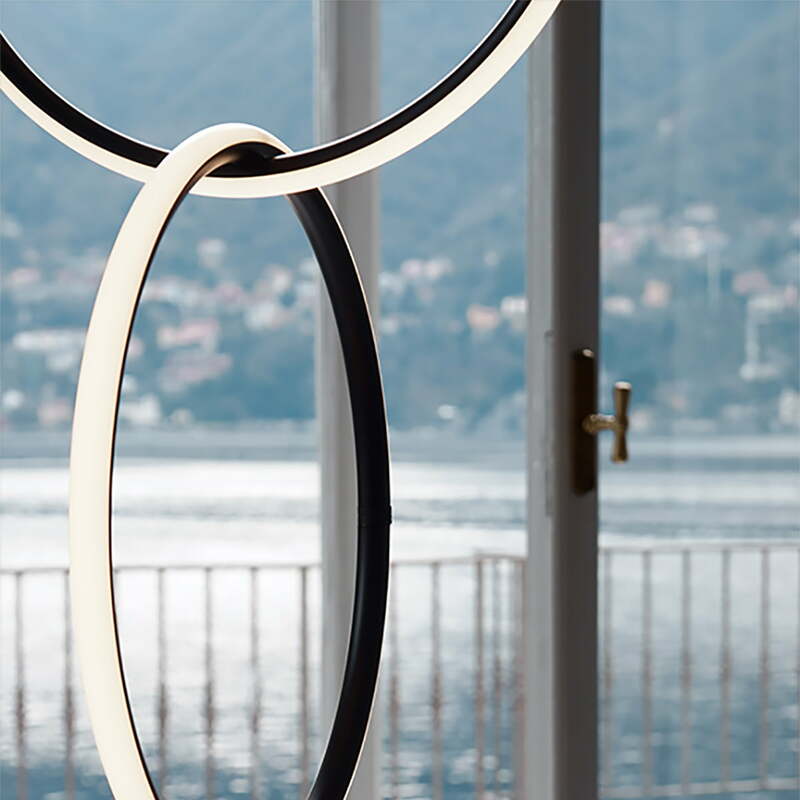 The artistic forms are made of extruded aluminium, which is equipped with an LED light strip on the outside. Thus, the bodies seem to shine from within, without a light source being recognizable at first glance. The arrangements LED pendant lights are available in different forms, which can be combined also outstanding among themselves. Combined to several in different or the same variants, a completely individual luminous object can be created, which becomes an eye-catcher in every ambience. Thanks to LED technology, the arrangements emit a bright yet soft light that illuminates the room in a pleasant way. Each individual luminaire is equipped with a canopy. If, however, several arrangements for one luminaire are desired, please contact us for an individual consultation. Arrangements LED pendant luminaire from Flos in single view. 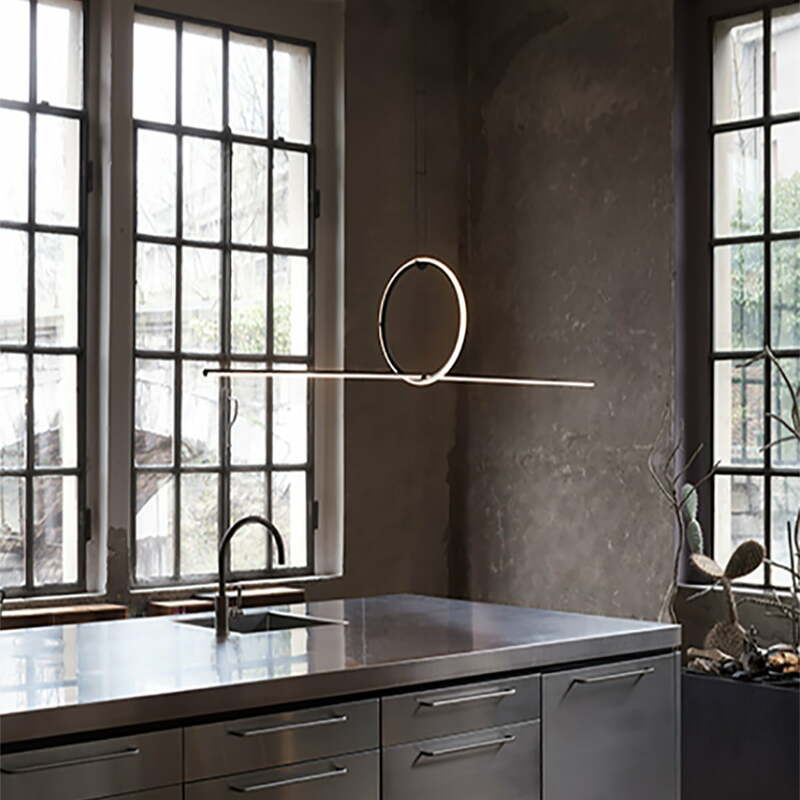 The Flos LED pendant luminaire arrangements are characterised by their geometric, almost sculptural luminaires that bear the signature of designer Michael Anastassiades. Arrangements LED pendant luminaire from Flos in the ambience view. The different shapes can be perfectly combined with each other to create a stylish arrangement. Arrangements LED pendant luminaire from Flos in the ambience view. The luminaire can be combined into several units and can thus be individually designed. Arrangements LED pendant luminaire from Flos in the ambience view. The modern luminaire can also be excellently integrated into a classic ambience with stucco on the ceiling. A great contrast! 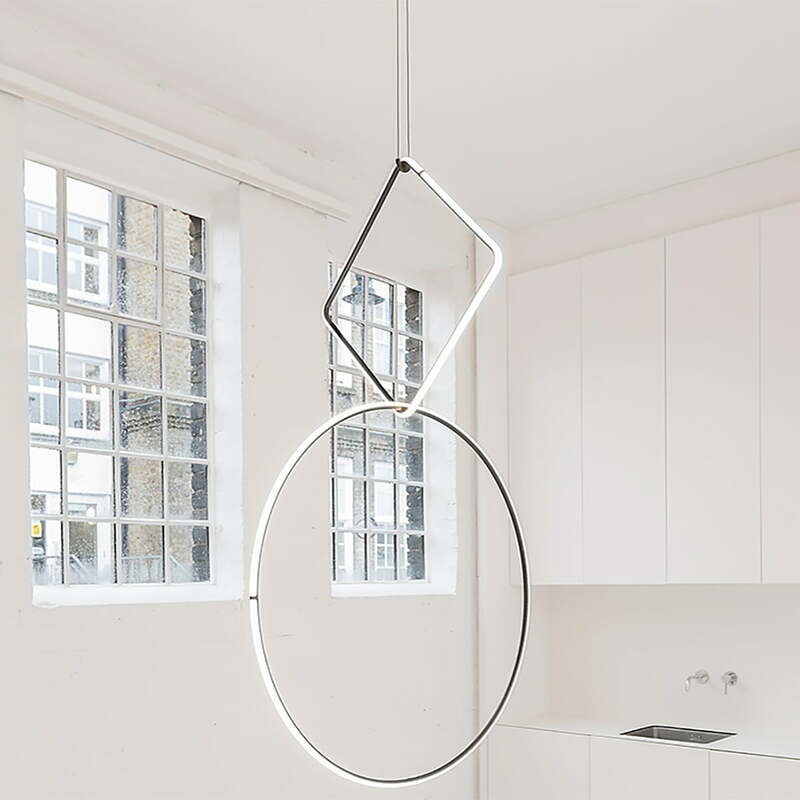 Arrangements pendant luminaire by Flos in the ambience view. The luminaire is available in various shapes that can be combined to create an individual luminous object. 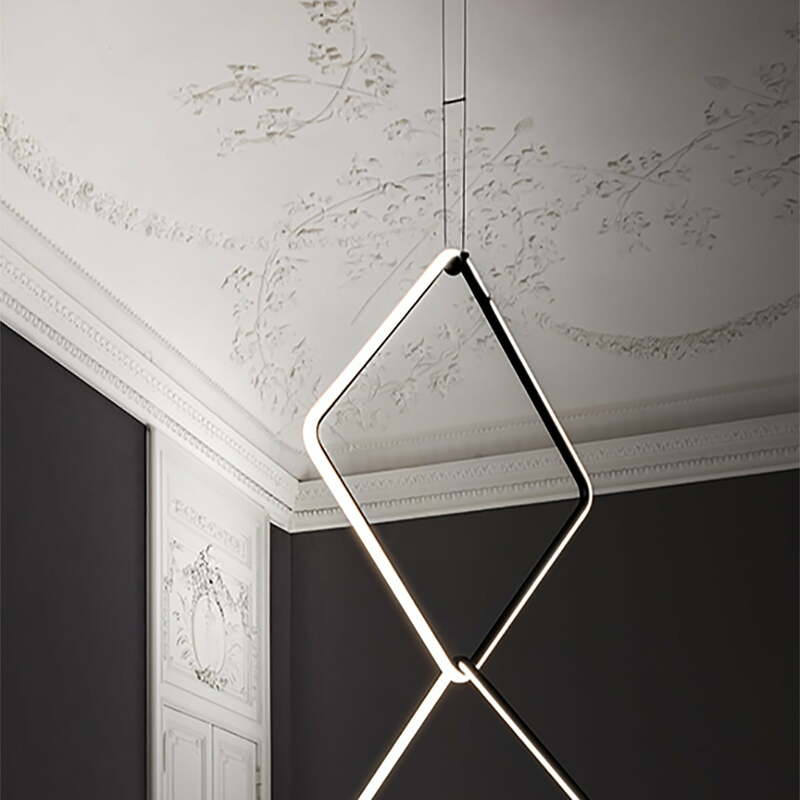 Arrangements pendant luminaire by Flos in the ambience view. The luminaire is available in various shapes. It can be combined completely according to your own wishes.